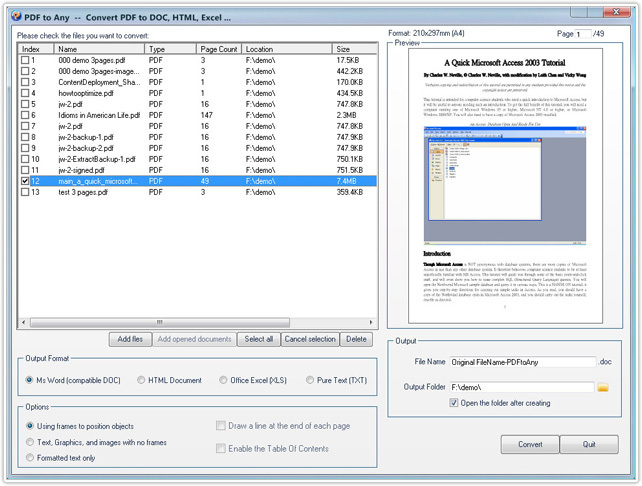 PDFCool Studio allows the user to convert PDF documents to DOC, HTML, TEXT and image documents etc. This function is suitable for simple structure PDF documents which contain only text and images. If converting complicated structure PDF documents which contains too much forms and layers to DOC or HTML, you may hardly reach the expected effect. From the top menu bar, go to "Convert > PDF to Any > PDF to DOC, HTML, Excel¡­"
3. 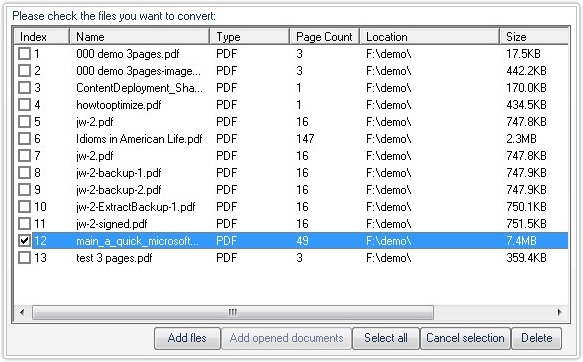 Set the format which PDF document convert to. Output setting: Set the output file name, the program default output name is the original name plus -PDFtoAny. You can also type new output file name. About the output path, you can use the original folder as output path, or choose other folder. Click on the Convert button to start the conversion.